Rich is a 25+ year veteran of the Graphic Arts industry, beginning his career as a Bindery Operations Manager in a well-established trade bindery in Utah. 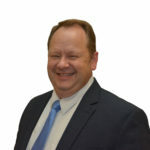 He joined Muller Martini in 2001 and was named Regional Sales Manager for Illinois, Michigan and Indiana in 2004. He works closely with printers and binderies in these states forging solutions in digital, stitching, adhesive binding and hardcover book binding that grow business potential and profitability. Rich earned his Bachelor of Arts from Westminster College in Utah. He enjoys spending time outdoors making memories with family and friends boating, motorcycling, snowboarding, and rock crawling. Achieving a quality spine: Don’t ignore these tools – or you may pay dearly! The Value of Confidence—and the Cost of Losing It.